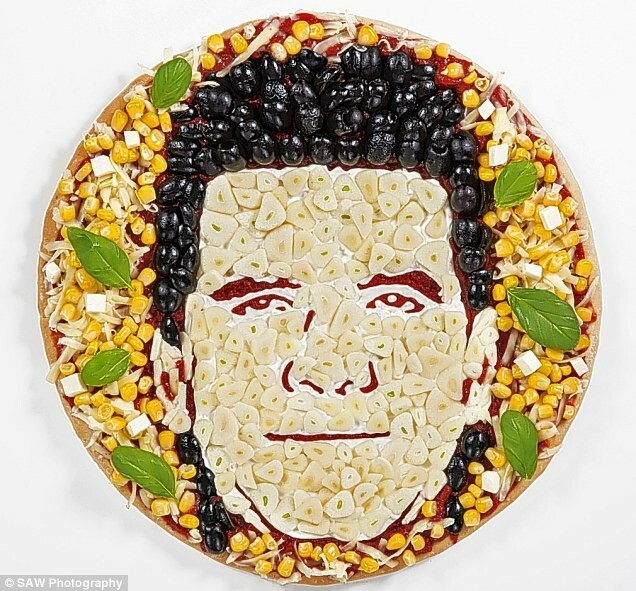 Simon Cowell has a face made from sliced garlic and his hair is made of black olives, according to an artist who has made a pizza portrait of him. 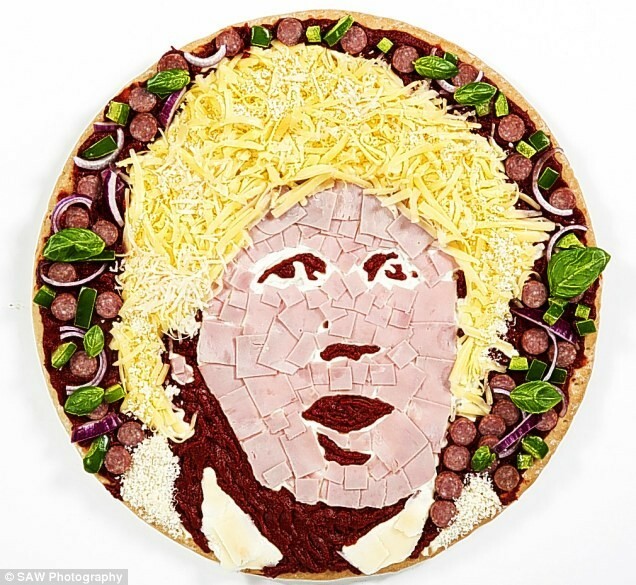 The Freaky loves these pizza portraits of celebrities made by English artist Prudence Stait. Working from photos Prudence draws the face by hand on the pizza base using tomato puree and then adds detail using different foods. 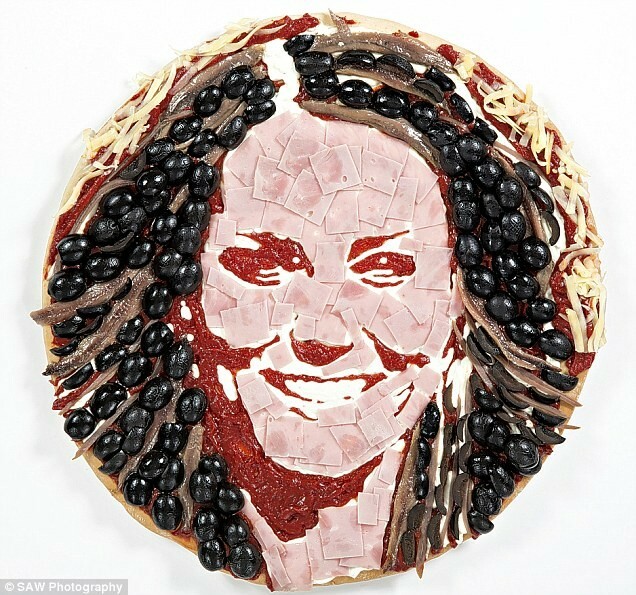 For her pizza portrait of Kate Middleton she used olives for the Duchess of Cambridges hair. London Mayor Boris Johnson’s hair is made from cheese. 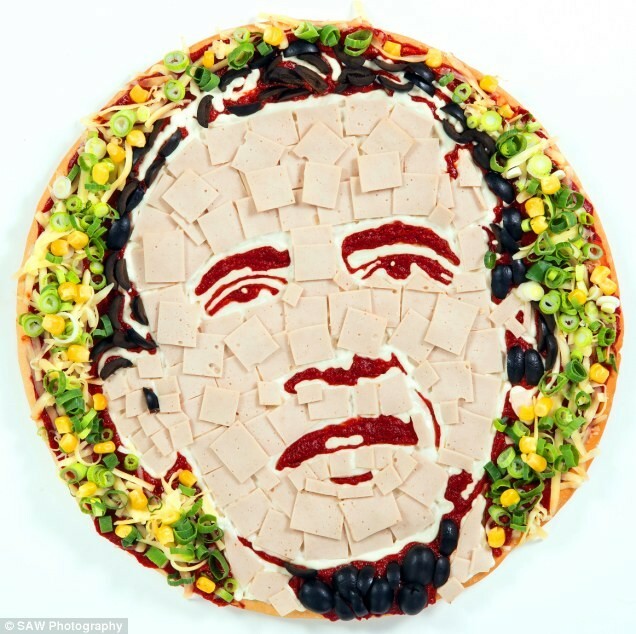 President Obama has a face constructed of ham.